UE 150 Wins Raises to $15/hr for all State Workers! 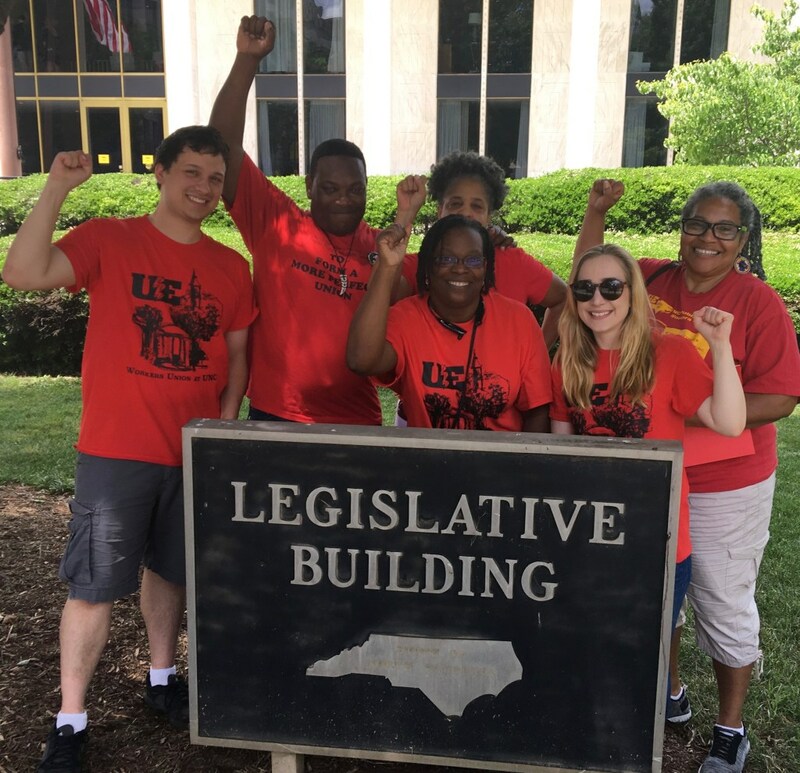 After UE150’s successful Political Action days at the North Carolina State Legislature in May, legislative officials announced on May 24 that they plan to raise the minimum annual salary of full-time state employees to $31,200 ($15/hour) — or give a 2 percent raise to all workers with a higher salary. UE150 has been the main organization that has been advocating for the approach of granting wage increases to the lowest paid state employees first, and we won! 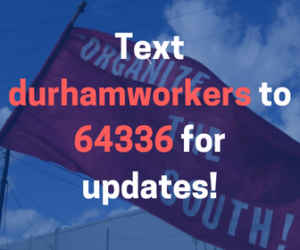 This will impact many thousands of UE members: housekeepers, healthcare techs, developmental techs, food service workers, groundskeepers, transportation workers and more that all general- ly make between $26,000 and $29,000. $15 per hour is equivalent of $31,200 per year. The raise will go into effect on July 1, 2018.